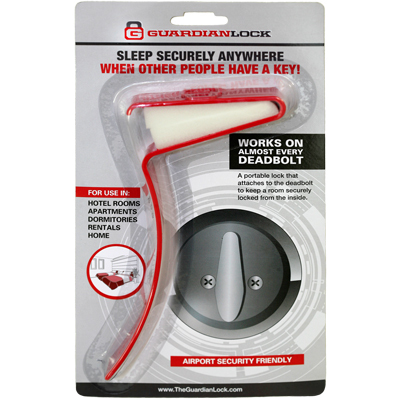 It attaches to the inside of any door, keeping the deadbolt firmly engaged and greatly minimizing or eliminating the threat of someone unlocking your door while you sleep. Even if someone has the key, they can’t get in! As long as the lock is in place, with the deadbolt engaged, the key will NOT turn and the deadbolt cannot be disengaged, firmly securing your door. Guaranteed! What if you are staying in a hotel room in an unfamiliar place? Or if you just broke up with your girlfriend or boyfriend? Maybe you just moved into a new dorm room or apartment, and haven’t had a chance to have the locks changed? We want you to feel safe no matter what the circumstances! 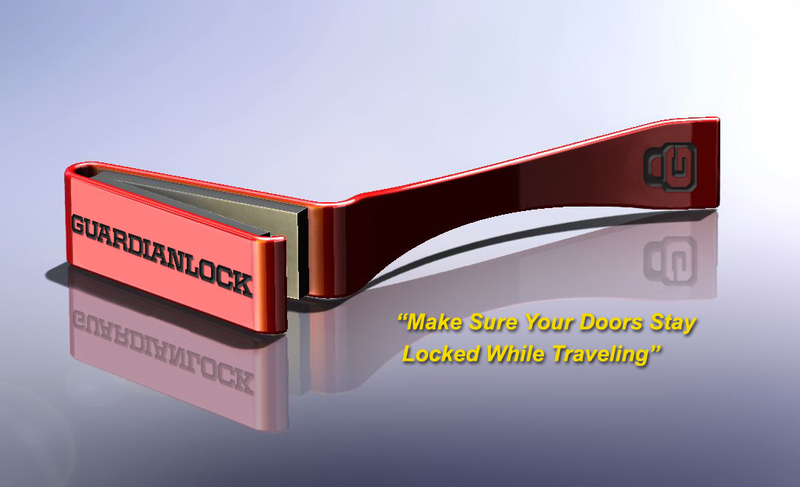 The Guardian Lock helps give you that peace of mind. The Guardian Lock also makes a great gift! If you have loved ones that you’re concerned about, The Guardian Lock is an inexpensive solution.